A SECOND CHANCE…FOR MY SNEAKERS! Well, I think it’s time to say goodbye to my first pair of running sneakers that I used for my half marathon in October. I seriously contemplated keeping them just because of the sentimental value of training for and running my first race in them, but then I got realistic and realized I have enough stuff clutering up the house, I don’t need a pair of old sneakers I’m not even going to actually use! Instead of tossing them in the trash though I decided to look into some sneaker recycling options. A few years ago when I was living in Connecticut I worked at the XL Center in Hartford as their Community Relations Manager and part of my job was to work with the groups holding events in the building to tie in a charitable or community component to their event. When the Hartford Marathon was holding their expo at the XL Center I worked closely with their contact (Emily who I saw down at the WDW Marathon!) to coordinate a sneaker recycling drive. We figured with thousands of runners coming we’d get a couple of hundred sneakers donated to recycle…boy were we wrong! 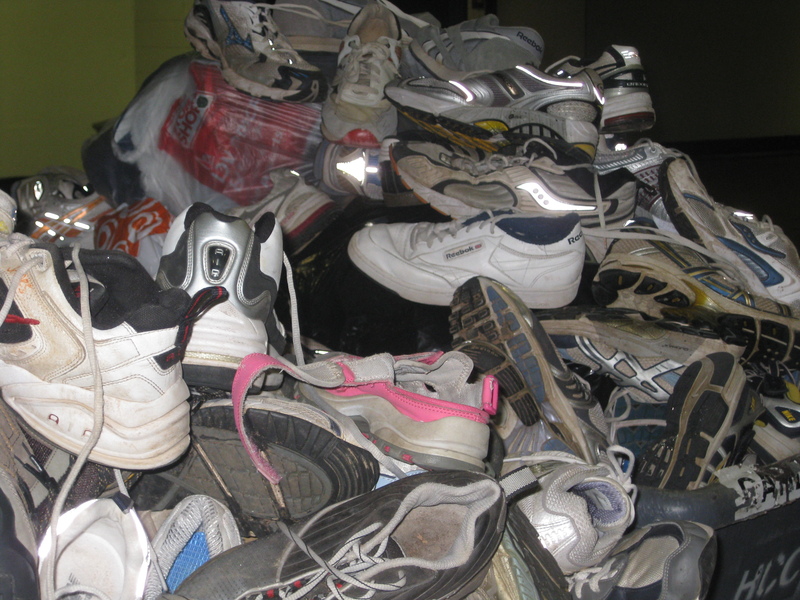 We collected THOUSANDS of sneakers, our donation bins were overflowing! The sneakers we collected at the Hartford Marathon were donated to an organization that grinds down the rubber and uses it to create playgrounds and tracks in underpriveldged areas. Nike has a program called ReUSE-A-SHOE that does exactly this, and the best part is you can drop off your donation at most Nike retail locations (you can check for drop off locations in your area on their website). Looking at my sneakers they don’t really look like they are in bad shape, but it is suggested that runners replace their sneakers after they have logged 300-500 miles on them becuase they begin to wear and lose their cushioning, which can lead to injuries. However, just because my sneakers may be too worn to continue to train in doesn’t mean they aren’t perfectly good for someone else to wear! Since my sneakers are still technically wearable I am most likely going to donate mine to an organization that collects clothing and sneakers that they distribute to those that are less fortunate. When you’re ready to retire a pair of sneakers hopefully you’ll think of donating them to one of these great organizations that can give them a second life! 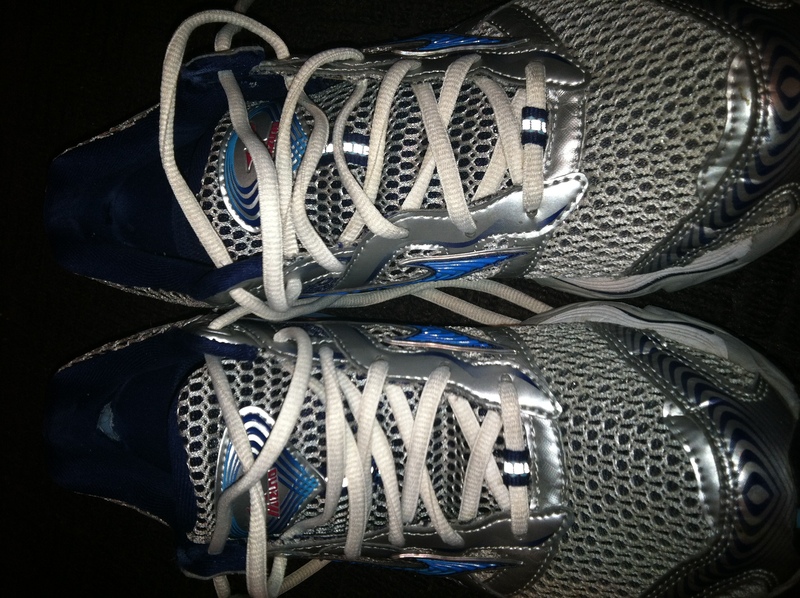 i lllllove donating my sneakers, it makes me feel really good to know they live on! « RE-CHARGED AND READY TO GO!